The Securities and Exchange Commission (SEC) on Wednesday confirmed that MTN Group had finally commenced discussions with the commission on its proposed 500 million dollars Initial Public Offering (IPO). A senior management staff of SEC who pleaded anonymity told the News Agency of Nigeria (NAN) in Lagos that MTN had commenced discussion with the commission on the IPO. The source told NAN that although talks were ongoing, the company was yet to formally file its application for the IPO. He said the commission was committed to investors’ protection, and that their interest would be protected in the ongoing discussion. Standard Bank Group Ltd. and Citigroup Inc. had been advising MTN on the disposal of as much as 30 per cent of its Nigerian unit on the NSE. 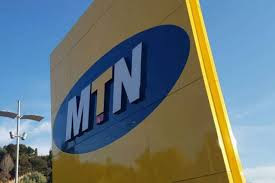 NAN reports that MTN recently appointed a Nigerian investment firm, Chapel Hill Denham, as lead manager for the planned sale of 500 million dollars shares in its Nigerian business during the first half of this year.